There's so many perfumes and fragrances on the market these days, it's hard to know where to look. A lot of which come with a hefty price tag. Personally, I save my more expensive fragrances for date nights, and special occasions. But what about day to day wear? 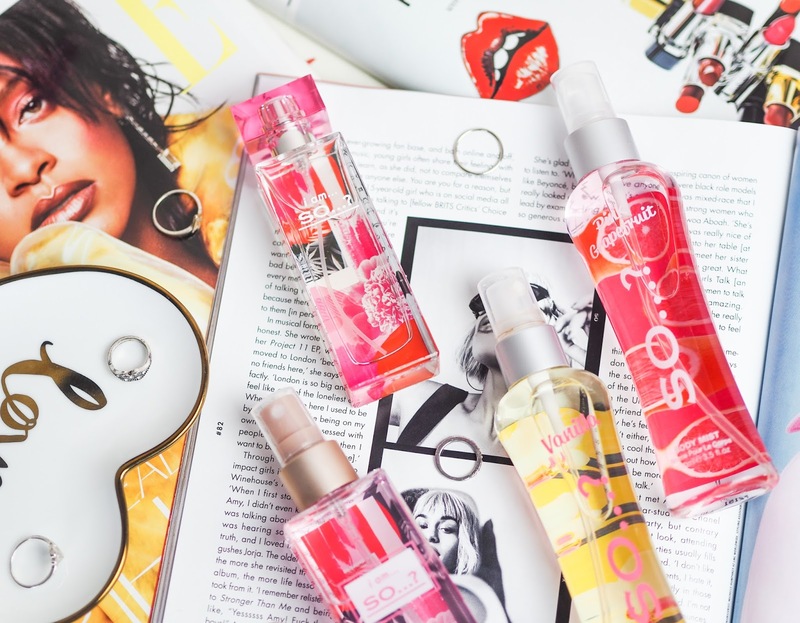 Even then, I reach for one of my much loved Marc Jacobs perfumes, or for something lighter, I'll throw a Victoria's Secret Body Mist in my bag. It's safe to say the perfume market has exploded. It's very difficult to find decent fragrances at a more budget friendly price. A brand that I used to use a lot when I was younger, was 'So...?'. I don't remember them having a vast range, but I do remember picking up the odd body spray and deodorant from my local drugstore. Looking back now, I remember the brand being more targeted towards younger girls and don't remember seeing any of my older family members using the brand. However, I do remember the brand being extremely affordable. As you can imagine, I was very surprised to find that you can still get your hands on So...? products! Not only that, but they seem to have had a little rebrand and taken their products in a different direction. They now create a wide range of body mists, perfumes, and even dry shampoo! The best part is, they've stuck to their roots and all their products are still fun and quirky, but most importantly, AFFORDABLE. This is one of the 'pricier' body mists at £4.99, and is a lighter version of the matching I am So...? Perfume. 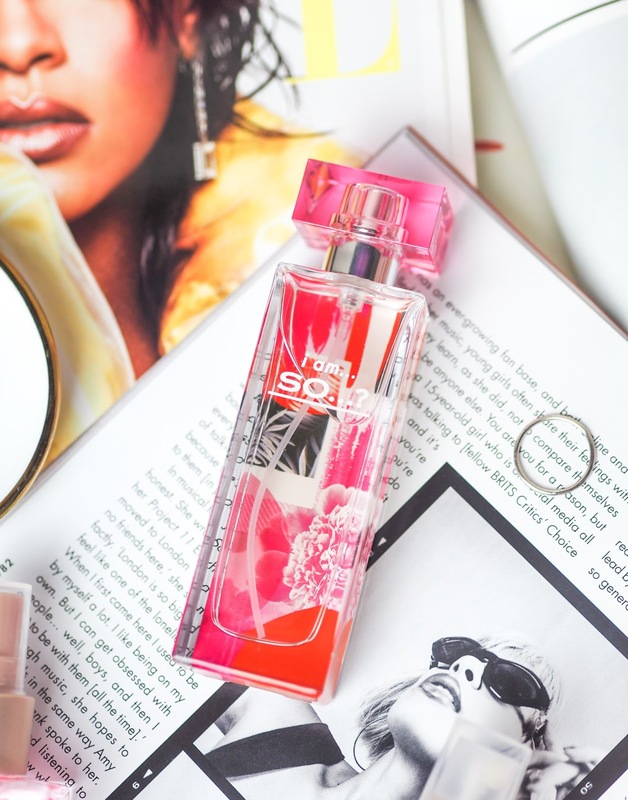 With Orange Blossom, and Fruity Mandarin, this is such a zesty vibrant scent! I have to confess, I'm not the biggest fan of Vanilla scents, but I don't actually mind this one at all. It's still very sweet, but not heavy or over powering to the point it kinda makes you feel sick. This is part of their normal body mist range, making it only £3.99! 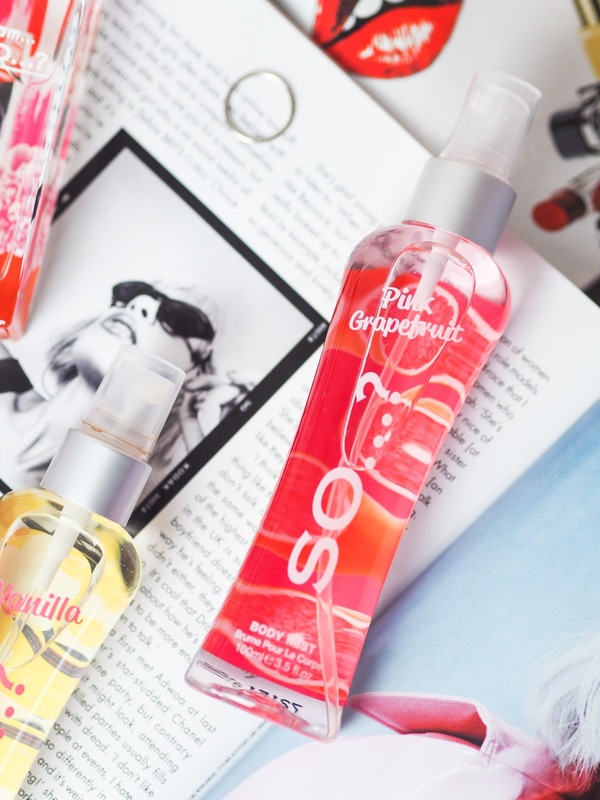 Aaand, leaving my favourite until last, the Pink Grapefruit Body mist! Honestly this is so dreamy, it has hints of Mango and Passionfruit in it, making it the perfect tropical mix! And again, this mist is only £3.99! As I previously mentioned, So...? also do perfumes too, so it only seems fitting to showcase one from their collection. Here I have the I am So...? Parfum, which is the matching scent to the first body mist I showed you. If you're looking for something that's going to last a little longer on the skin, and give a more intense fragrance, then this is the perfect option for you. And you're never going to believe how much this is... £6.99. Yep, that's right. A perfume, for less than a tenner! Not only does it smell incredible, but the bottle is so sleek and has a gorgeous design, it's the perfect size for on the go. I can definitely see myself popping this into my suitcase for any summer holidays I go on this year! All So...? 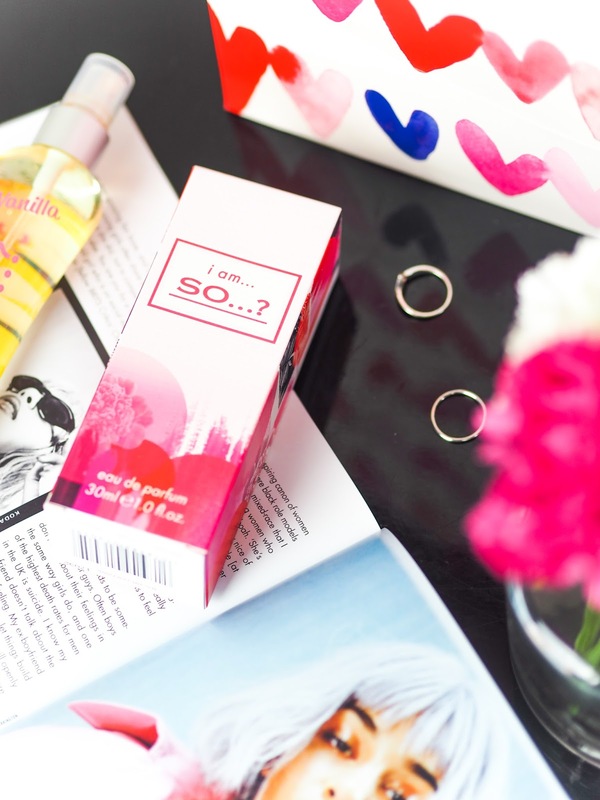 products and fragrances can be found both online and in store at Boots and Superdrug. I'm definitely going to pick up some more of their body mists as I know for a fact I'm going to go through them so quick! I particularly love the fruity ones, so they are next on my list! Which scent would you love to try out? I remember the days when me and all my friends had So body sprays in our bedrooms. So glad to see that they've rebranded & brought out affordable perfume options! I remember SO...? as a kid. I always thought they were really childish but they're really stepping up their game now! I haven't heard of these before, but they look great as an affordable alternative! Pink Grapefuit sounds really refreshing - So...? reminds me of being a teenager! I really love the Floral body mist. Their packaging is really pretty too. I remember using So? smellies as a teenager! These seem like great everyday scents when you don't want a heavy perfume smell and just a light scent! Oh this brand takes me right back to my primary school days! I think these were the first fragrances I owned and I still remember my favourite one was a white bottle with red kisses on - I wish I could smell it again! I'm definitely going to have a look in to their new stuff! Gosh, So...? products really are a blast from the past for me! I used to love them so much! It’s amazing to see that they’ve been updated with a brand new look, they sound absolutely incredible! 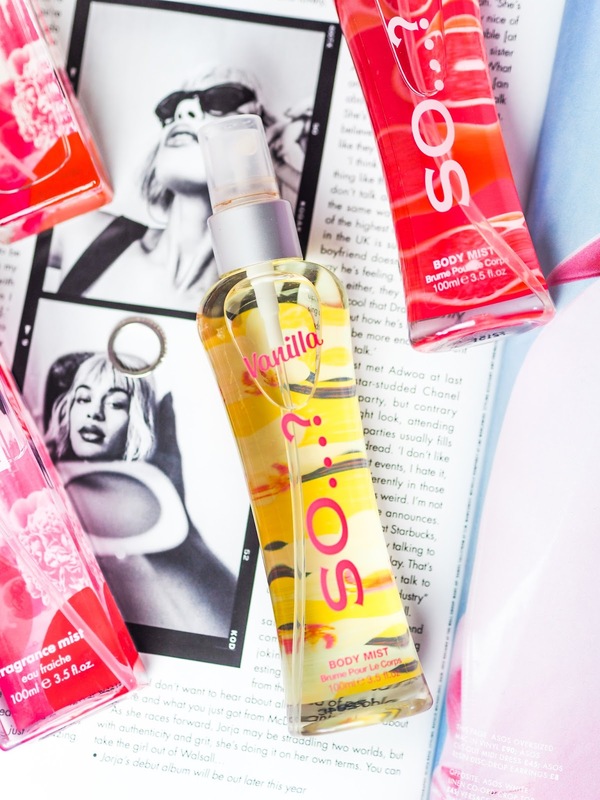 The vanilla scent seems like it’d be right up my street and for £3.99, who can complain?! Thanks for bringing them to my attention, you better believe I’ll be picking up a couple in my next drugstore splurge!